Dinner is a fundamental refection, to which we stop paying due attention quite often. Whether the reason is tiredness or haste, it is evident that there is a tendency to consume low-nutrient, high-calorie foods at night. To help you remedy this situation, here are 3 healthy ideas for fast, satisfying dinners and essential nutrients. In addition to harming our sleep, bad habits can lead to obesity. But is it possible to eat healthy and rich himself after a long day at work? The answer is yes. And you do not have to spend a lot of time. This is a quick, light and economical recipe, therefore, it is among the best healthy ideas for fast dinners. 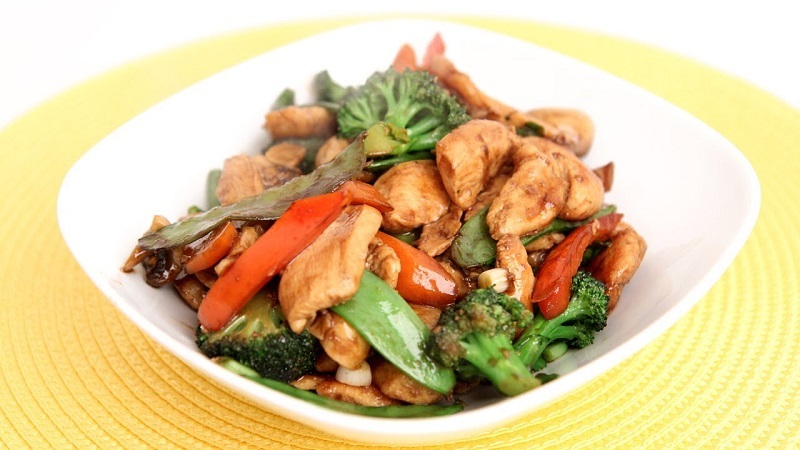 We use chicken, but sauteing can take any meat and vegetables of your choice. You can also prepare a vegetarian version , with a piece of tofu, for example. In addition, you can add sunflower and sesame seeds to provide more nutrients and a crispy and attractive texture. 1 cup of brown rice (200 g). 1 cup of chicken breast (250 g). 2 carrots (cut in julienne). 3 tablespoons of soy sauce (60 g). 1 yellow bell pepper (cut in julienne). 1 red bell pepper (cut in julienne). Broccoli florets (or cauliflower) to taste. Sunflower and sesame seeds to taste. In a large pot (or wok) place the olive oil and let it heat. Then add the garlic, spring onions and sweet peppers, and let it saute for a couple of minutes. We add the chicken and let it “seal” (until they acquire a white layer). Then we add the broccoli, the carrot and the soy sauce. Let cook over medium heat , for a few minutes, until the vegetables are tender. In another pot we cook the brown rice with a thread of olive oil and water in sufficient quantity. The way of serving this dish will depend on the taste of the diner . We can mix the cooked rice with the sautéed rice and serve with the seeds on top. But you can also serve them separately, with the rice as an accompaniment. 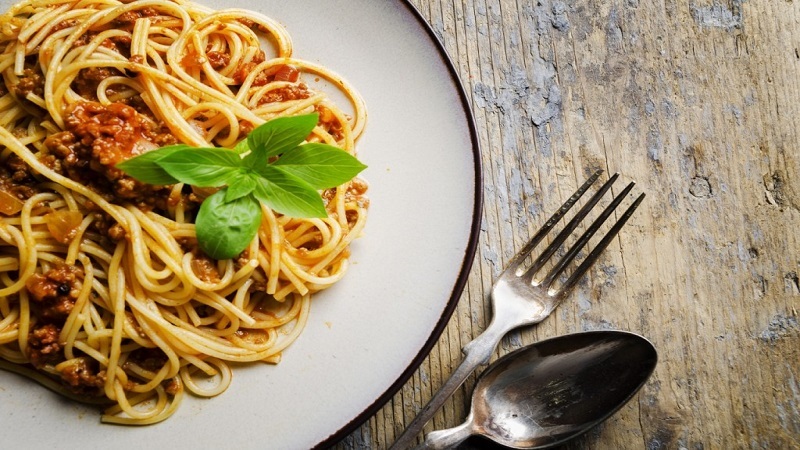 Currently, the pasta gained some “bad reputation” in diets to lose weight, since it is a carbohydrate. While it is true that we must moderate our daily consumption of flours and starches, there is no need to exaggerate. However, carbohydrates are essential energy sources for our body. 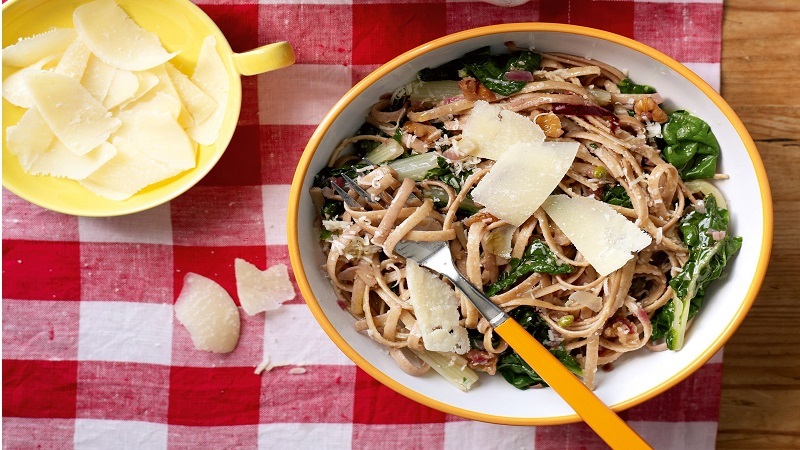 In this recipe, we use whole- grain noodles to provide fiber and promote digestion . 75 g of whole pasta per person. Cherry tomatoes to taste (common or dried tomatoes can also be used). Nuts or almonds (5 to 7 units). Fresh basil (10 to 15 leaves). In a saucepan we pour water to cook our wholemeal pasta. On the other hand, we wash the cherry tomatoes (or the type of tomato we have chosen) well and let them dry. When the pasta is almost cooked, quickly saute (over high heat) the tomatoes with olive oil , in a pot or pan. Then we drained the pasta, passed it quickly through the sautéed tomatoes and, finally, we added the pesto sauce. Turn off the heat immediately (so as not to burn the sauce) and serve with grated cheese on top. This is one of the healthy ideas for quick, tasty dinners, practical and beautiful presentation. Ideal for when we have a guest or just to give ourselves a taste. 1 or 2 salmon fillets per person. Juice ½ lemon (for each salmon fillet). Accompaniment of your preference (mashed potatoes or pumpkin, rice or pasta, salad, etc.). First we made sure that the salmon fillets do not have thorns. Then we separated a rectangle of aluminum foil for each fillet. We take a metal plate suitable for the oven, cover it with aluminum foil and place the fillets. To season our salmon, add salt and pepper to taste. Then we squeeze ½ lemon on each steak. We take the oven to 180ºC until the salmon are well cooked. Meanwhile we prepare the accompaniment we have chosen. 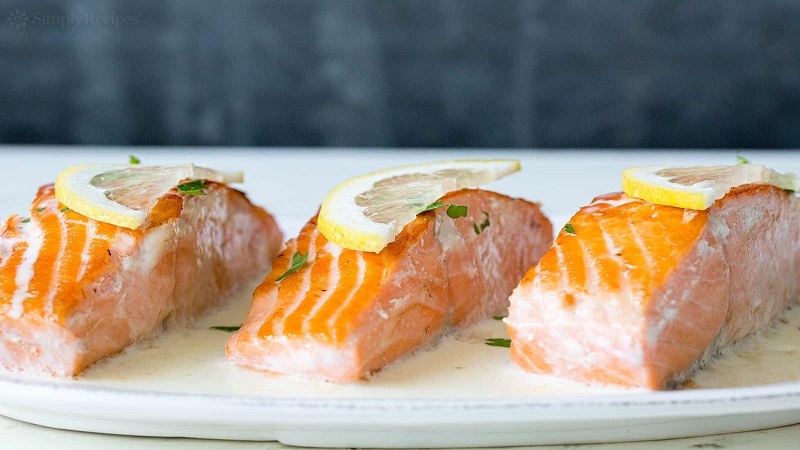 Before serving, add a touch of lemon zest on each fillet to flavor our dish.